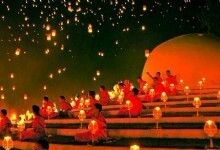 Thailand, officially known as the Kingdom of Thailand, is a country located in Southeast Asia. 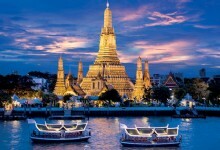 As one of the top tourist destinations in the world and the most popular travel destination in Southeast Asia, Thailand boasts mysterious tropical forests, beautiful beaches, glittering temples, exotic culture, and distinguished food. 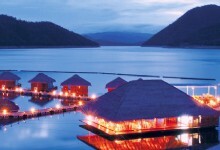 You will find almost everything to satisfy all your needs from travelling at the tourist paradise of Thailand. 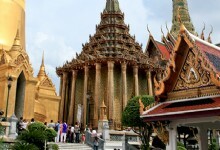 At capital Bangkok, you will see many historical and cultural sites, like the most sacred Wat Phra Kaew in Thailand, and experience the bustling modern city and vivid nightlife. 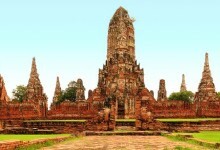 At cities like Ayutthaya and Sukhothai, you will get to know the Thai history and visit the UNESCO World Heritage Sites of Si Satchanalai and Kamphaeng. 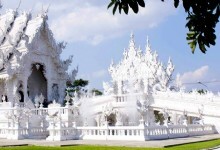 While at Chiang Mai and Chiang Rai you can trek at tropical forests and tribe villages, and appreciate the stunning scenery of crystal sea and sandy beaches at the heaven of Phuket and Samui. What’s more, tasting various delicious Thai foods, riding an elephant through jungles, enjoying a Thai-featured massage and spa, watching exciting Muay Thai, and the friendly Thai smiles are other irresistible fun at Thailand.